This is the quarry that is referred to in the original article as 'Colwall Park Quarry' although it is more generally now called 'West of England Quarry'. This was an early purchase by the Malvern Hills Conservators (MHC) after they had been granted powers under the Malvern Hills Act, 1924. The Conservators bought the quarry for closure in 1931 at a cost of £24.654. At that time it formed a vast horizontal blot on the landscape with working on three levels above the road from West Malvern to The Wyche. However, today, the casual visitor would be hard-pressed to discover the full extent of the workings, such has been the results of extensive conservation work by the Malvern Hills Conservators which started with the planting of Austrian Pine Trees. From the very popular Hay Slad water-spot the scene is now one of peace and tranquillity and is hard to image that once just behind this spot large amounts of rock were taken from the hills. The Malvern Hills Conservators have provide an access road that reaches car parking situated on what was the lowest level of quarry working. From here it is possible to make out the quarry workings at upper levels. The MHC have also kindly provided a sign to indicate that this is indeed the site of a former quarry. 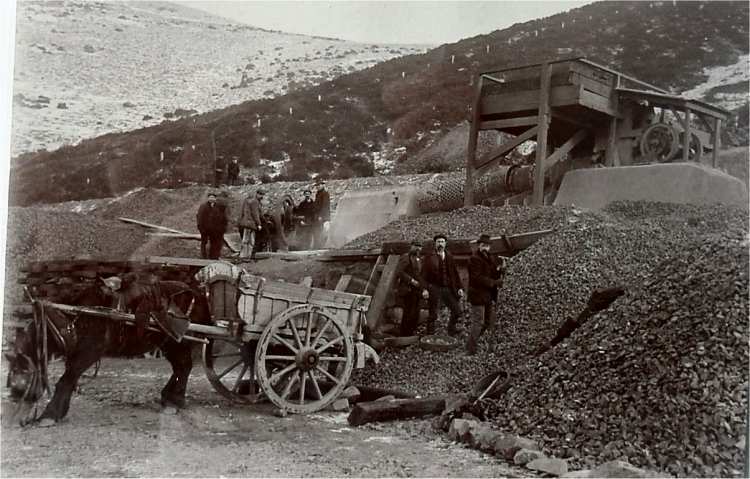 This fascinating photograph taken about 1905 shows that prior to the opening of the narrow gauge railway the freshly cut rocks were loaded onto horse and cart for transport probably to the G.W.R. sidings at Colwall. 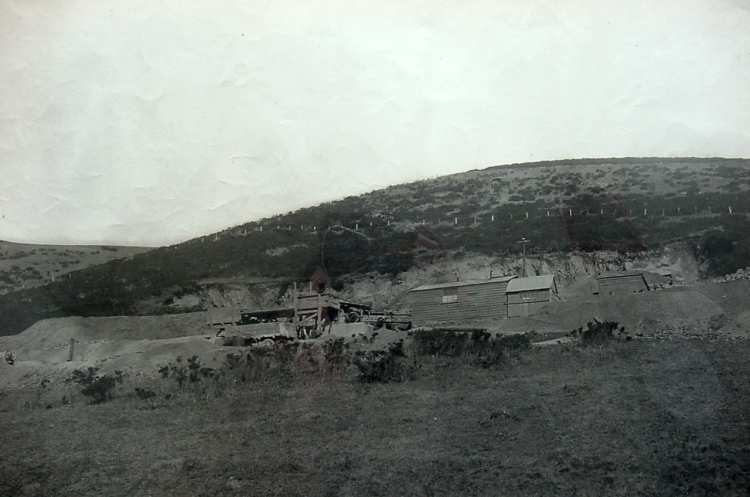 This photograph shows the site in about 1912 by which time the narrow gauge railway had been built in the quarry. 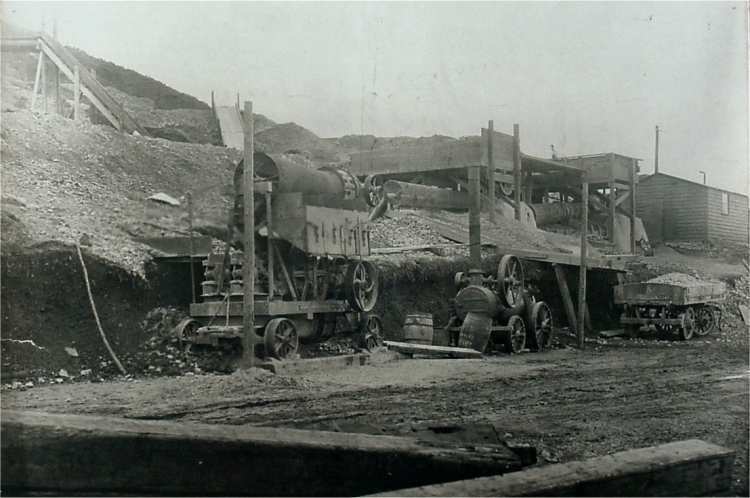 The final one of these three historic photographs published by permission of the Malvern Hills Conservators was taken in 1923 and shows clearly that by this time steam powered traction engines were in use at the quarry. The Royal Well Brewery Co Ltd referred to in the map ceased production shortly after one of the owners, Mr Blackwood, died in a hunting accident in 1901 and has since been converted into luxury flats.